This Easy Chickpea Salad Sandwich makes a healthy, filling, and delicious vegetarian lunch. Feel free to add your favorite veggies on top! 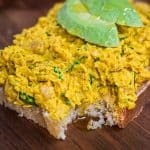 This is the easiest, and possibly the tastiest, Chickpea Salad Sandwich out there! It is an ideal make-ahead recipe because it can stay in the refrigerator for up to four days. 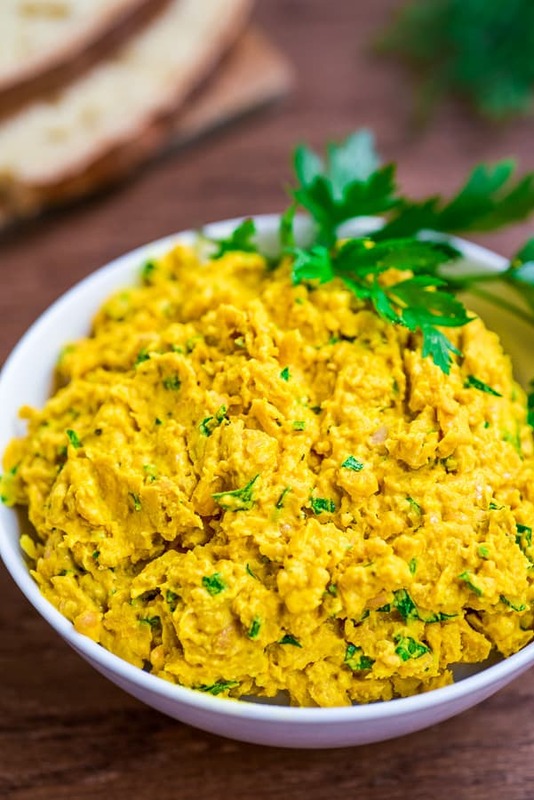 When ready to enjoy, just add a generous amount of chickpea salad to the bread and your meal is ready! You can also mix in the toppings I mentioned right into the salad itself, but if you do, keep in mind it won’t stay long in the refrigerator. I am using mayo in this recipe, but Greek yogurt can be used instead. I like the flavor and the texture of mayo better, and I always buy Sir Kensington’s Mayo from Thrive Market (it can also be found on Amazon). It is a real, delicious mayo, made with simple ingredients. That’s the mayo I feel good about eating. I am also buying chickpeas from Thrive Market. The Organic Thrive Chickpeas are the creamiest and the best I’ve tried. 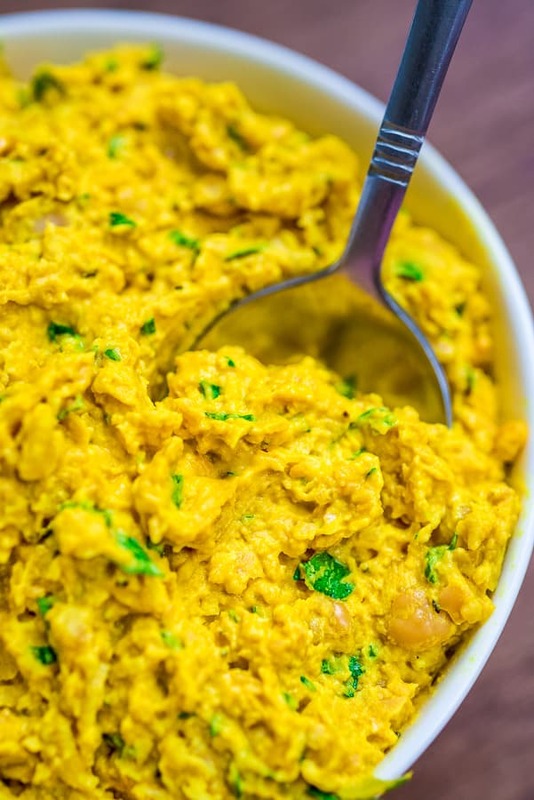 But, of course, canned or home-cooked chickpeas would work in this recipe. 1. Rinse the cooked chickpeas and drain well. Add the chickpeas to a bowl, and mash them with a potato masher. I prefer to roughly mash around 75% of them to give a nice texture to the salad. 3. 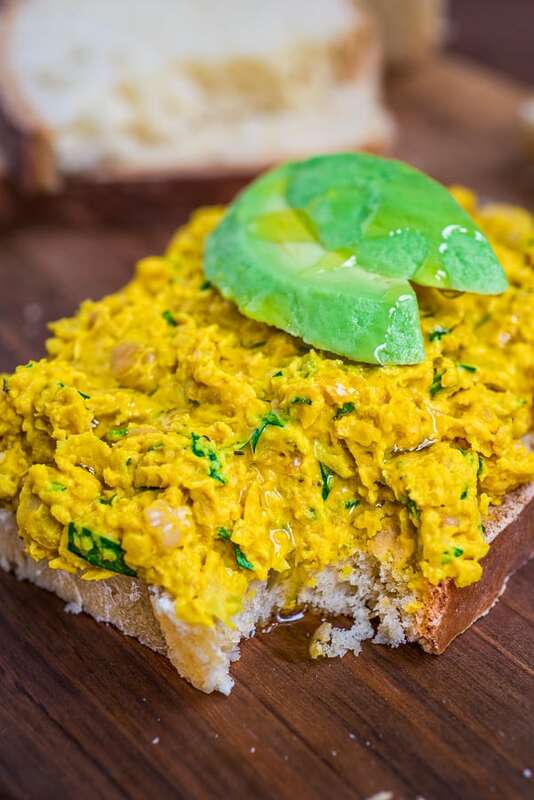 Spread a generous amount of the chickpea salad on a slice of your favorite bread. 4. Add toppings (avocado, cucumber, boiled egg) and drizzle with a little bit of olive oil, if desired. Rinse the cooked chickpeas and drain well. Add the chickpeas to a bowl, and mash them with a potato masher. I prefer to roughly mash around 75% of them to give a nice texture to the salad. 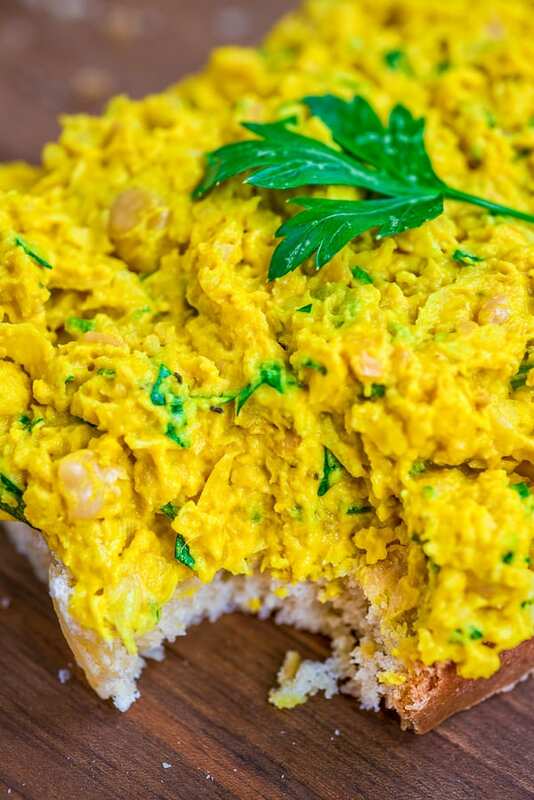 Spread a generous amount of the chickpea salad on a slice of your favorite bread. Add toppings (avocado, cucumber, boiled egg) and drizzle with a little bit of olive oil, if desired. The nutrition information does not include bread. Very simple words have been used to explain this method and I understand everything well. Thanku so very much sharing this great recipe.